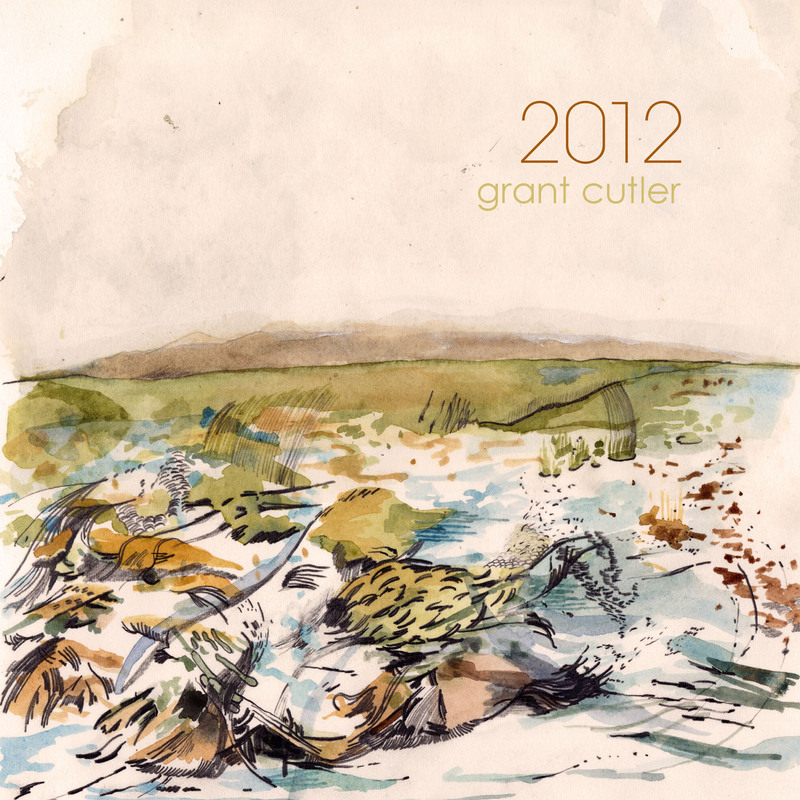 “Devotion,” the opening track of Grant Cutler’s 2012, approaches you from what seems like a great distance, moving slowly across snowy Midwestern plains. It’s a fitting introduction to an album of cold, geologic beauty, a record not only inspired by the setting of its creation, but quite literally fashioned from artifacts unearthed from attics and closets and basements. Often, artists seek a universality in their work, but Cutler has crafted the timelessness at the heart of 2012 by documenting a moment, the first snowbound week of 2008 in Minneapolis. He’d been reading about Zen meditation practice. He was learning about binaural beats. He’d just gotten a Roland JX-3P, a synthesizer from 1983. And so he spread his synths about the floor of the back room of his house and set about making drone tapes on his grandfather’s tape deck. The deck itself was rescued from his sister’s basement, and the no-name recorder didn’t even work properly half the time. It would eat the cassettes whole, and so every successful recording was a victory. Even then, playing the tape back to transfer it onto his computer would sometimes destroy the tape. Each of the performances here, then, is unique and unduplicatable. The fragility of the process is in perfect harmony with the fragility of the music, which plumbs the beauty of the synthesizers’ sounds, pulling out tones that link 2012 to Tangerine Dream, to Aphex Twin’s Selected Ambient Works Vol 2, to Boards of Canada, and to Autechre. It’s a love letter to the soft, otherworldly fuzziness and cool, austere alienness of the analog synth. Its airiness and space let you follow tones and looping sequences through subtle shifts and changes, the sound coloring whatever space the listener is in, just as Cutler’s wonky tape deck colors the sound of the whole record. It’s the kind of album you want to curl up and take a nap inside of. A warm blanket, a love letter, a document, a sonic painting of winter in Minnesota: 2012 is all of these things and also something more. It’s a mirror, a work that reveals the listener to him or herself, reflecting back on us ourselves in moments of peace, of focus, of solitude, of contemplation.